Updated Friday September 21, 2018 by Admin. 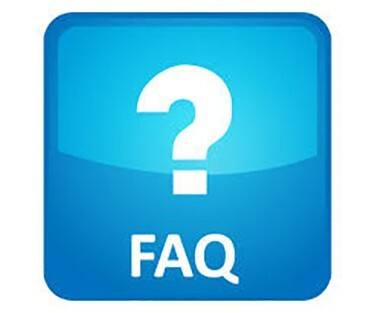 Welcome to the Greater Greenville Youth Hockey Assocation (GGHA) FAQ page. If you would like more information or to contact someone in person, check out our Contact Us page and feel free to contact anyone on the page. We all are willing to help and guide you in the right direction. How long does the hockey season last? Typically registration is in August / September with the Travel team season running from mid-August to late February and the House program runs from early October through early March. In addition a Spring session is typically held in April and May with a summer session during the months of June and July. The Spring and Summer sessions typically consist of skill develepment, scrimmages, and power skating practices. How many times a week will my child play? Travel Players usually practice 1-2 times a week with games on weekends. Home games are on Saturday nights and Sunday mornings. House Players practice 1-2 times a week with typically one midweek practice (Wednesday or Thursday night) and one Saturday morning practice. Absolutely, we welcome all players, regardless of gender. Female athletes are welcome to join our house programs, try out for our travel teams and join our Girl's program. We are working to grow girl's specific programming and offer additional all-girls events. USA Hockey registration carries with it insurance that augments your regular health insurance, but should not be the sole source of insurance. For more information about USA Hockey's insurance, please see www.usahockey.com. Ice hockey is not an inexpensive sport and the cost depends on a variety of factors, but the most important one is the cost of ice time. Therefore the teams that are scheduled for more ice time have a higher registration fee and a Travel team is more expensive than a House team at the same age level. Fees are set at the beginning of registration based on estimates for: ice usage, number of players, costs for jerseys, referees and some other minor incidental costs. As a volunteer organization, GGHA’s focus is to utilize all fees for the growth and development of our youth players. As such payment plan options are available. Check the registration page for current fees. Note that goalies need similar but different equipment to above. If your child thinks they would like to play goalie we recommend borrowing equipment to try before making any investment in equipment. Equipment can be bought locally or online and pre-owned equipment is available at the annual GGHA hockey swap. -The Penalty Box is the only local retail hockey store and is located not far from the Pavilion. -Some of the largest, most reputable, best selection and best prices online can be found at totalhockey.com, hockeymonkey.com, and hockeygiant.com. -Prior to the season start, GGHA has an equipment exchange/sale where pre-owned equipment can be swapped or purchased. This is held at the Pavilion typically in August. Check the home page for exact day and time. How dangerous is youth hockey? GGHA follows USA Hockey guidelines for checking which begins at the Bantam level. Limited body contact is allowed within the other age groups. Body checking is not allowed in order to create an environment in which safety, skill development and positioning are the primary focus. USA Hockey has identified age ranges for ice hockey players that are based on birth years. Age divisions for the current year are listed on the Registration Information page of this website. Although not recommended by GGHA, players can move up a division under certain circumstances and Board Approval.